I recently described Henri III’s torture of puppies during his reign. The clown actually wore them, as an adornment! In that same column, I mentioned that we were adopting a new puppy . . . and she has arrived in our home! However, we did not feel that Foxy was up to adjusting to another mature dog, since she lost Lyric last winter and her other (long-lived) sister, Tanner. In my post about Henri III, I shared comments from two letters that C.S. Lewis wrote a century ago to one of his closest friends. Arthur Greeves had gotten a puppy, and Lewis reminded him of the responsibilities of the human member of that relationship. In a subsequent letter, Lewis advised Greeves on how to choose a name for his puppy. How’s the poor, miserable, ill-fated, star-crossed, hapless, lonely, neglected, misunderstood puppy getting along? What are you going to call him, or rather, to speak properly, how hight he? Don’t give him any commonplace name, and above all let it suit his character & appearance. Something like Sigurd, Pelleas or Mars if he is brisk and warlike, or Mime, Bickernocker or Knutt if he is ugly and quaint. We had already chosen the name for our puppy before I found this quotation. But I think Lewis would have approved. We named our new little girl after one of the Greek Muses, who inspired literature and the arts. Her name is Calli. If you’re knowledgeable in mythological matters, you will recognize that it’s our nickname for Calliope, the Muse of epic poetry. Being more of a historian than a poet, I wanted to use the name Clio, who is the Muse of History. Calli fits her better though. Calliope is a wonderful, musical name though, since she was the chief Muse, and her name literally means “beautiful-voiced.” What a lovely name. I hope Calli learns to sing, like our first border collie, Lady. Lady would accompany my wife as she played the piano. It was quite entertaining. If you have read this far, you too are likely a pet lover. 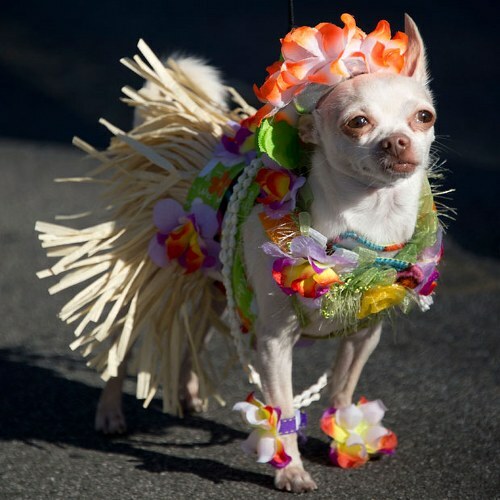 If you have a dog, cat, rabbit, lemur or whatever, of your own, may the Lord bless it with a long and healthy life . . . just as we pray for our own little Calli. 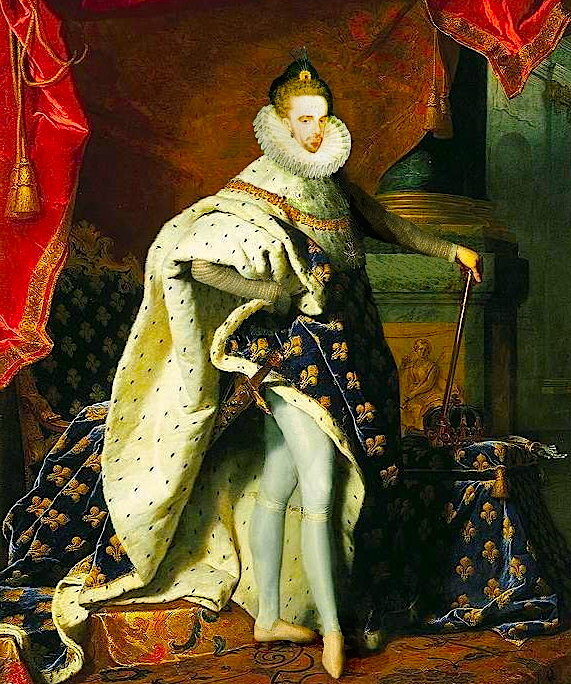 Puppies are cute and cuddly, but leave it to a French king to carry that fact to absurd lengths. One might think owning 2,000 lap dogs is a bit overmuch. Not so Henri III (1551-1589). It would seem that after the first thousand, it might become difficult to recall all of their names, but that didn’t deter Henri. He so loved his puppies that he used them as a form of adornment, regularly wearing them in a small basket suspended around his neck. And, amazingly, it appears none of his courtiers mentioned that it looked quite silly. Who knows, he may have established a temporary fad, not unlike the purse puppies used by some modern celebrities to increase attention to themselves. 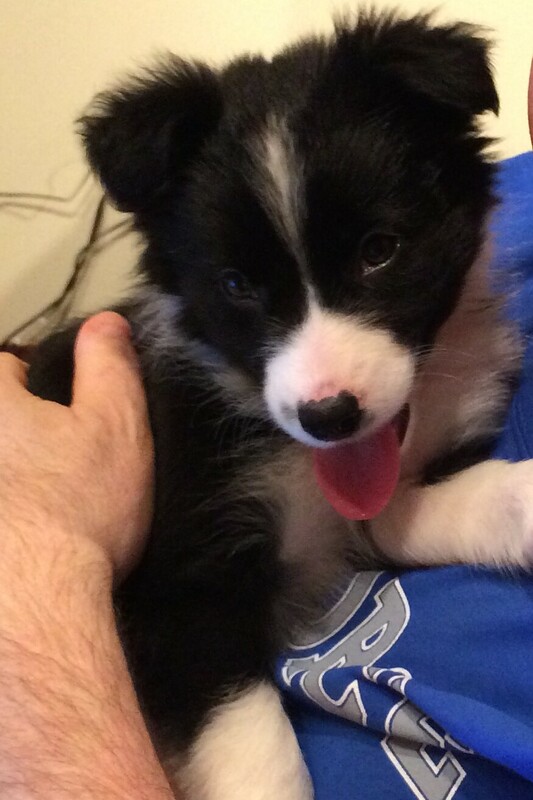 Puppies are on my mind now, because my wife and I have “reserved” a border collie from a recent litter. Some readers will recall the grief we experienced when a dog we rescued a year ago, died due to an onslaught of seizures, one after the other. Lyric’s tragic passing, at a young age, was so much more difficult than the loss of our previous three who had lived well into their geriatric years. It’s taken us a year to be willing to consider adding another dog to our family. We still have Foxy, who we rescued about eight years ago, during our final military tour in California. We decided it would be much easier for her if we added a puppy to our family this time. I’ll write more about our puppy in the future. For now I’ll end with the “teaser” that we’re naming her after one of the Greek Muses. C.S. Lewis loved dogs, although apparently not enough to wear them like jewelry. In 1916, he corresponded with his friend Arthur Greeves about adding a puppy to the latter’s family. His first mention, as Greeves was contemplating the decision, reveals Lewis’ emphasis on the wellbeing of the dog over its master’s preferences. I think you are very wise not to take that puppy from K. Unless you are a person with plenty of spare time and real knowledge, it is a mistake to keep dogs–and cruel to them. Greeves proceeded with the adoption, as Lewis appends a postscript to his next letter, written a week later. Poor puppy!! What a life it’ll have! I shall poison it in kindness when I come home! In a subsequent letter, the same month, Lewis offers advice about naming the puppy that I was delighted to read. It suggests that he would approve of our decision for the name of the new addition to our family. In the meantime, whatever name we bestowed on our new puppy, she would never need to worry about being traipsed around on display like a fashion accessory. We’ll leave that to French kings and egocentric divas.